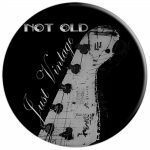 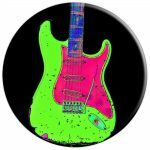 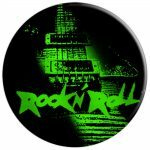 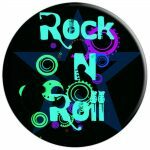 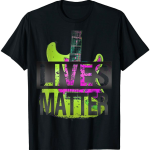 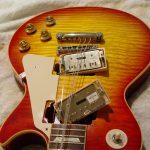 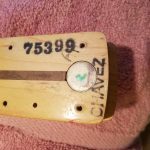 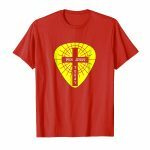 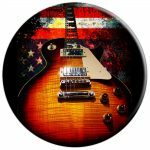 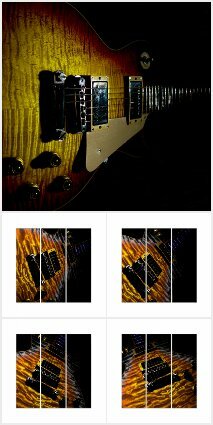 Searchable Guitar Identification Database-Exclusive Guitar Wall Art-Shirts-Popsockets-Custom Relic Guitars & More! 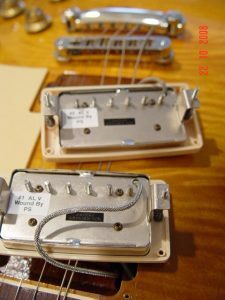 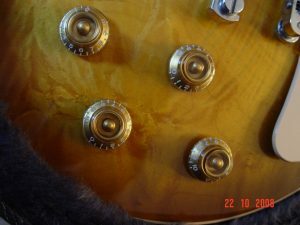 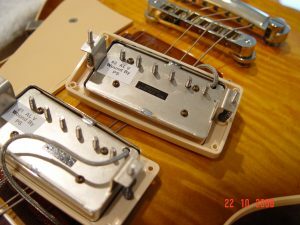 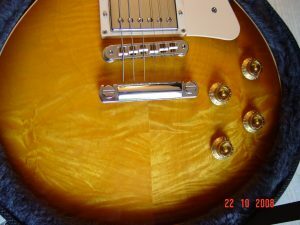 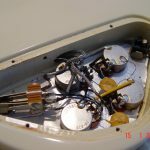 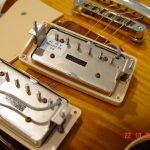 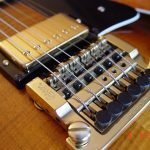 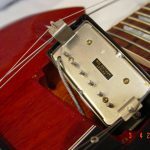 Burstbucker Pro Alnico 5 Pickups: Alnico 5 magnet for fatter, meatier tone with more drive and attack and provides classic Gibson "Patent Applied For" tone with a hint of attitude. 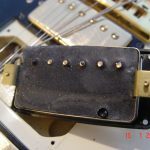 Bridge Pickup output- 8.3 Neck Pickup output 7.4. 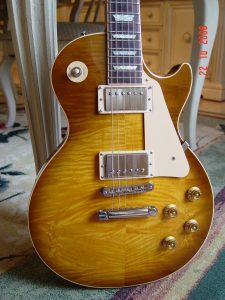 First & Fifth Numbers makes this a 2005. 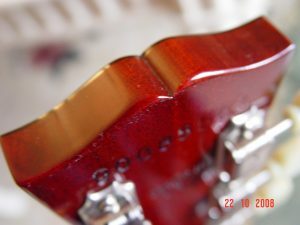 Balance of digits covered. 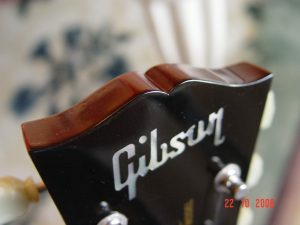 Bindings cover fret tabs on Gibson LP Standards. 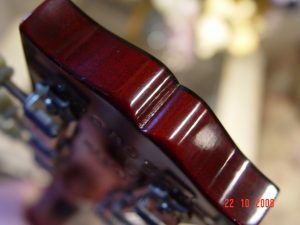 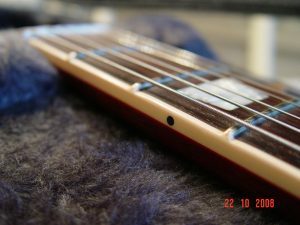 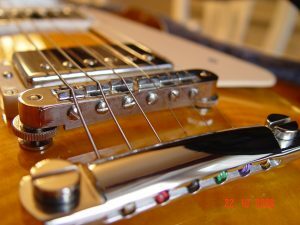 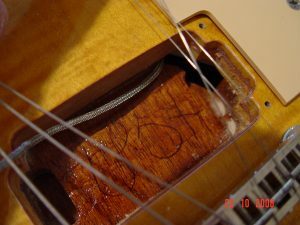 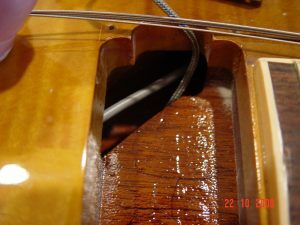 When fret tabs are not covered by binding then a re-fret of fret job was performed which may affect value. 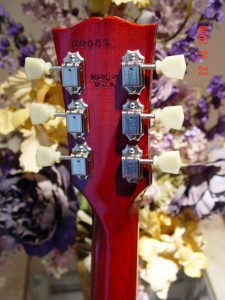 Gibson LP Tailpiece and Tuneomatic Adjustable Bridge w/ Metal Saddles. 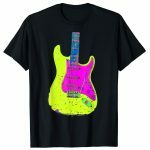 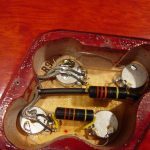 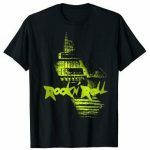 Guitarwacky designs limited niche apparel and art, plus unique gift collections specifically for Guitar lovers out there. 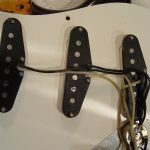 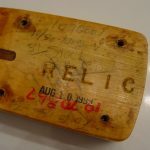 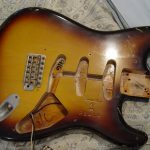 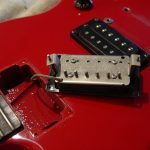 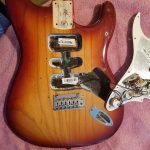 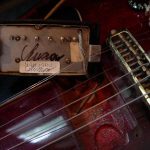 We also offer limited one off merchandise including Custom Relic Guitars plus a DIY: Guitar Pickups/Cavity Image Database of dismantled guitars and sound galleries. 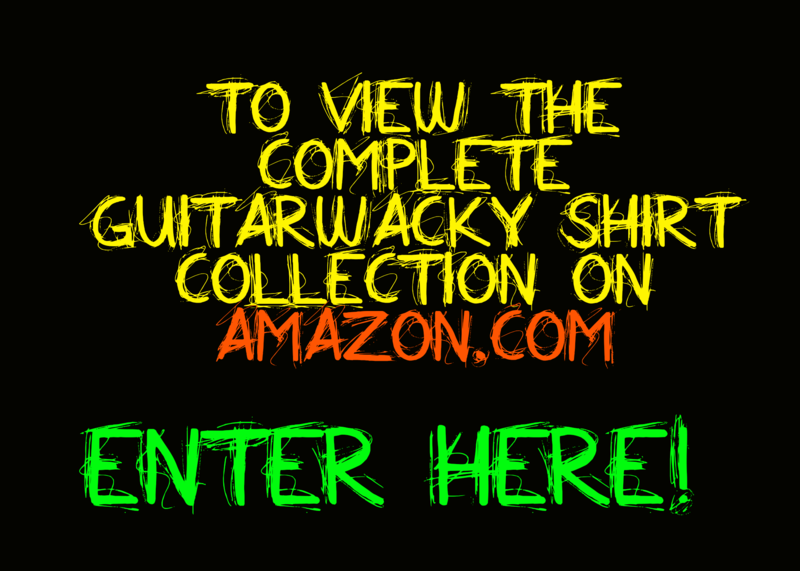 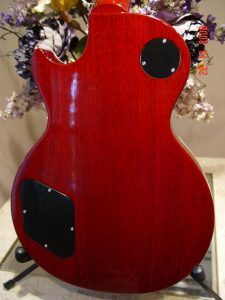 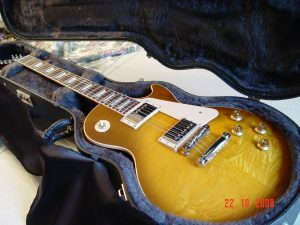 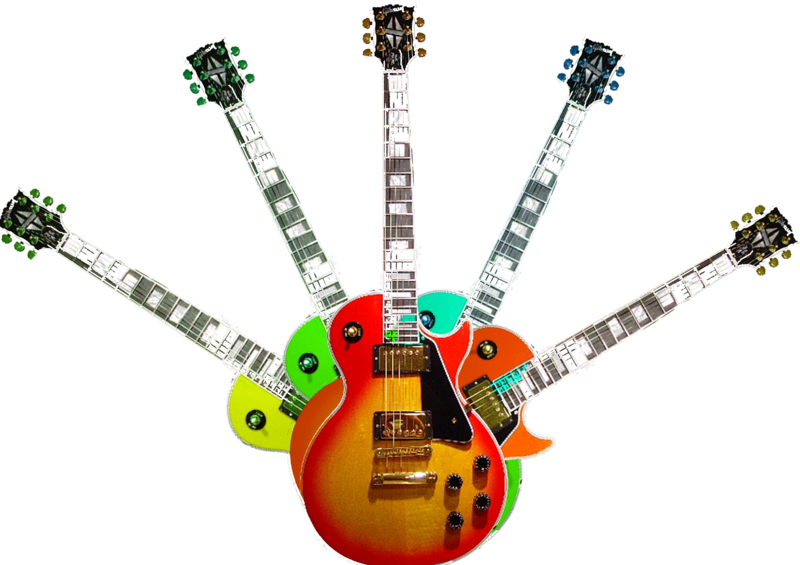 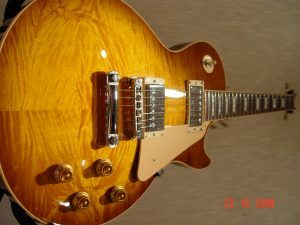 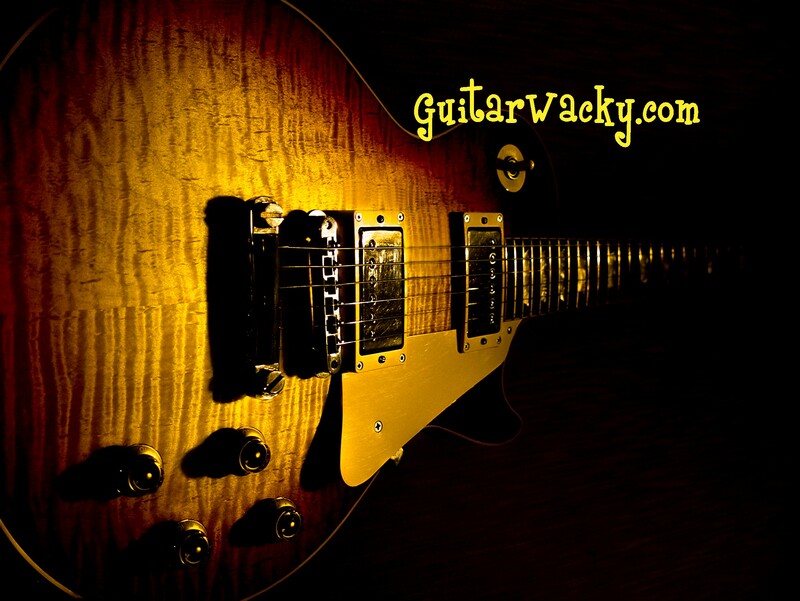 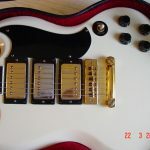 Guitarwacky is a participant in EBay’s Partner Network, affiliate advertising programs designed to provide a means for sites to earn advertising fees by advertising and linking to EBay.com. 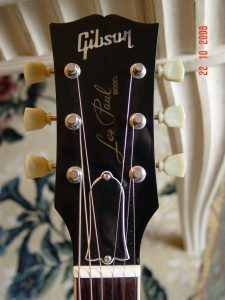 and zZounds.com.